Summary: Many in Congress have come to the conclusion that tougher sanctions on Russia are in order. Their activism can serve as a useful check on the Trump administration but, ideally, should not undermine unity with key U.S. allies. Congress is slowly ratcheting up the pressure on two popular targets: the Kremlin and U.S. President Donald Trump’s well-advertised desire to “get along” with Russia’s President Vladimir Putin. The political logic is all too easy to understand. Anger and distrust toward Russia crosses party lines in Washington, and there has been no softening in Moscow’s increasingly assertive foreign policy. Making matters even more politically fraught are Trump’s reluctance to offer meaningful criticism of Russian malign activities, his professed skepticism about Russian interference in the 2016 U.S. presidential election, and his frequent attacks on the U.S. intelligence community, key U.S. allies, the North Atlantic Treaty Organization (NATO), and the European Union (EU). It is hard to recall any precedent for such an enormous gap in the views of the commander in chief, career national security officials, and influential members of Congress on an important national security issue. Against that backdrop, many in Congress have come to the conclusion that tougher sanctions on Russia are in order, if only to box in the Trump administration. In the words of Senator Robert Menendez, the ranking Democrat on the Senate Foreign Relations Committee, “Trump’s willful paralysis in the face of Kremlin aggression has reached a boiling point in Congress.” Congressional activism on U.S. policy toward Russia will almost surely be a strong check on the executive branch’s freedom of maneuver during Trump’s remaining time in office. This paper seeks to evaluate the effectiveness of the existing sanctions program while identifying possible directions for future action by Congress and the executive branch. It offers a short review of the main lessons of the past five years and potential goals for the next phase of the program. The impetus for renewed congressional action is not yet in place, despite the mid-February reintroduction of bipartisan sanctions legislation entitled the Defending American Security from Kremlin Aggression Act (DASKA). The new chairman of the Senate Foreign Relations Committee, Senator James Risch, has stressed that his “repertoire does not include sparring publicly with the president of the United States” and has not yet scheduled public hearings on new sanctions proposals. Nor does Senate Majority Leader Mitch McConnell seem eager to pick a fight with the Trump White House over new Russia sanctions. The next steps by Congress will depend largely on events in the U.S. political domain. Congressional moves on Russia have tended to follow developments emanating from the Trump/Russia investigation or damaging press accounts, rather than new revelations of Russian malign activities. A case in point is the hurried, nearly unanimous passage of the Countering America’s Adversaries Through Sanctions Act (CAATSA) in the wake of Trump’s clumsy handling of his first face-to-face meeting with Putin at the Hamburg G20 summit in July 2017. Trump’s acceptance at that meeting of Putin’s flat denials about Russian interference in the 2016 U.S. presidential election and overly credulous eagerness to set up a cybersecurity working group ignited bipartisan political anger. A similar dynamic nearly derailed administration efforts to delist companies owned by Russian CEO Oleg Deripaska, following press reports about the unusual lengths that Trump has gone to shroud his discussions with Putin. For the time being, a trigger for renewed action in Congress is conspicuously missing. Part of the unenviable challenge before Congress is how best to formulate effective sanctions that are tied to specific malign activities, such as election interference or Russian aggression against neighboring countries. Many of the punitive moves aimed at Russia since 2016 have been about retaliating for Russian interference in the 2016 election and hemming in the White House in its pursuit of accommodation with the Kremlin, rather than measures designed to affect Putin’s calculus on a specific issue. Other actions are tied to Russian external behavior such as support for the Assad regime in Syria. This complicated landscape points to the need for a renewed focus on first principles. Prioritization of objectives as part of a comprehensive U.S. policy on Russia, deconfliction of overlapping sanctions regimes targeting Russia, focused messaging, and close coordination with allies are all essential to improve policy effectiveness. An extensive conversation about the potential second- and third-order effects of an increasingly unilateral U.S. approach on important alliance relationships is also needed. Given the complex and multifaceted nature of DASKA, a period of intense review and evaluation would be beneficial. The fact that a companion House of Representatives version of the bill has not yet been introduced pending an internal review of the effectiveness of past sanctions efforts suggests that there is time for a broader conversation. A proper exchange with important U.S. allies and other stakeholders, a possibility explored in greater detail below, is all the more critical in light of the huge question marks surrounding the Trump administration’s approach to Russia and the fact that past sanctions efforts have yet to alter the Kremlin’s risk calculus. A Shifting Framework for Post-2014 Sanctions . . . The original intent of the Western sanctions effort against Russia that began in 2014 was to impose significant costs on the Kremlin for its aggression against Ukraine, to deter future Russian belligerence, and to support diplomatic efforts to de-escalate the crisis. An economy of Russia’s size and systemic importance had never previously been targeted with such severe, multilateral sanctions tools. By prioritizing unity with the European Union and other allied governments such as Japan, the U.S. and European architects of the sanctions effort sought to create a program that would be inherently more effective and durable. The program also sought to inflict greater pain on Russia and its leaders than on the West, while minimizing the risk of possible spillovers for the global economy and the international financial system. Sanctions against the Russian energy sector, the Kremlin’s main source of revenue, were concentrated on constraining the country’s long-term production potential. The United States and the European Union restricted Western participation in projects involving onshore unconventional, deepwater, and Arctic exploration. A carve-out for ongoing Russian oil and natural gas exports avoided creating supply disruptions or undermining the stability of the global economy. Asset freezes and travel bans were imposed on regime-linked figures directly involved in the undeclared war in Ukraine. A policy of targeting Putin’s so-called cronies sought to promote cleavages inside the Russian regime and between the Kremlin and the Russian people. Sanctions against the Russian defense industrial complex and arms export sector froze a wide array of dealings with Western counterparts. As the conflict in Ukraine unfolded, more extreme measures were intentionally kept in reserve to foster uncertainty in the minds of top Russian officials about just how far the West might be prepared to go in response to Russian adventurism. Complementary diplomatic efforts focused on the Minsk agreements between Kyiv and Moscow, which provided a potential road map for military de-escalation and a lasting political settlement. Officials from then U.S. president Barack Obama’s administration and EU representatives emphasized publicly and privately that implementation of the Minsk agreements could lead, in relatively short order, to sanctions relief for Moscow. Unfortunately, high-level dialogue with the Kremlin basically went nowhere. By autumn 2016, it appeared that the Russian side hoped that it might get a better deal from a Republican administration. Advocates of tough-minded policies toward Moscow were deeply disturbed by reports during the chaotic presidential transition and early months of the Trump administration that senior U.S. officials had contemplated lifting sanctions, perhaps as part of a clumsily conceived grand bargain with Moscow on Syria, Iran, and China. Congress responded in short order with near-unanimous approval of CAATSA, which both codified existing sanctions and expanded them modestly. CAATSA also required congressional review of any presidential moves to waive or remove sanctions—a reflection of unease about the Trump administration’s accommodationist approach to Russia as well as unhappiness that the Obama administration had used sanctions relief as a bargaining chit to reach a nuclear deal with Iran. The legislation also created secondary sanctions for transactions with the Russian defense and security sectors, investments in Russian oil and gas export pipelines, and other activities. While these aspects of CAATSA were overshadowed by the welcome news that Congress had effectively tied Trump’s hands on Russia policy, they opened up a potential rift with the EU, Japan, and other countries that have been crucial partners in the post-2014 sanctions effort. Judging the effectiveness of Western sanctions against Russia from a purely economic standpoint is a somewhat complicated challenge. Russia’s gross domestic product (GDP) shrank by 3 percent from 2014 to 2016. Former deputy prime minister Alexei Kudrin has suggested that sanctions shaved 1 percent off GDP in both 2015 and 2016. (Other economists point out that Russian quarterly GDP growth rates had actually begun to decline in 2011, that is, well before the beginning of the Ukraine crisis.) There is also broad agreement that a dramatic fall in global oil prices in 2014 and 2015 was the main driver behind the Russian economic slump during that period. Economic conditions stabilized rather quickly in 2016 amid a recovery in oil prices, and Russia returned to modest growth in 2017–2018. The economy benefited from a textbook policy response that stressed exchange rate flexibility, generous support for the banking system including the provision of emergency liquidity, and the selective use of fiscal stimulus. 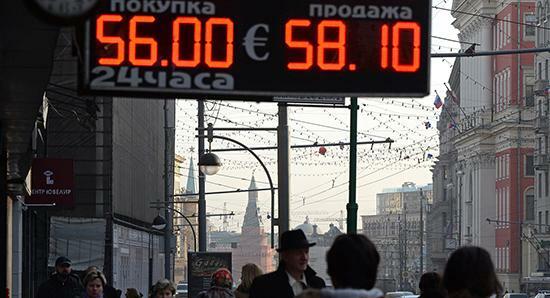 Ruble weakness, which was routinely touted by Western observers as a sign of the effectiveness of Western sanctions, turned out to be one of the Russian regime’s most effective tools. Most of the pain of the adjustment, by design, was borne by Russian consumers, not the key pillars of the regime targeted by Western sanctions. Even though Western officials have been at pains to suggest that the program was not designed to hurt average citizens, they were hit hard by the devaluation of the ruble and the Kremlin’s counter-sanctions against Western food imports. The Kremlin cynically exploited the latter move and created confusion among the general public. 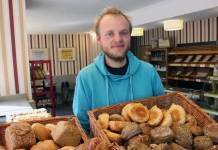 (Opinion polls suggest that most Russians believe that the food sanctions were imposed by the West, not their own government.) Either way, the sanctions regime gave the Kremlin a ready-made explanation for poor economic performance as well as a rationale for import substitution policies, whose benefits accrued disproportionately to regime insiders. To be sure, Western sanctions have caused lasting negative damage to Russia’s attractiveness to foreign investors and significantly constrained access to foreign capital for Russian firms. Persistent uncertainty about the outlook for Western sanctions and expanded state control over the economy throttled most sources of foreign investment. State-backed funding mechanisms and financial institutions have been able to take up some of the slack, increasing the dependence of well-connected business figures on the Kremlin and the state budget. The long-term effects on the lack of Western investment in unconventional oil exploration are yet to play out. The Russian private sector largely was forced to deleverage from Western sources of funding, which, somewhat paradoxically, led to substantial improvements in their balance sheets. In the meantime, the Russian government has focused intently on rebuilding its defenses and limiting vulnerabilities to future shocks and sanctions. Russian oil production reached back-to-back record highs in 2017 and 2018, enabling the government to replenish its currency reserves, which now total roughly a half-trillion dollars and are back at pre–Ukraine crisis levels. The government is also successfully implementing a fiscal belt-tightening rule that earmarks a significant share of oil export earnings to national wealth funds. The weak ruble provided a sizable boost to the Russian export sector as well as government efforts to eliminate its budget deficit. The 2018 Russian state budget ran a healthy surplus (2 percent) for the first time since 2011, thanks in part to a government-led austerity campaign. The profitability of Russian corporates, especially commodity exporters, soared, owing to the drop in ruble-denominated costs of production and operations. Ties to China, now the top foreign purchaser of Russian oil, expanded steadily in multiple realms. The 2014 sanctions were based in part on a Western belief that, by putting pressure on the Russian economy and certain elites, important figures in the regime would then turn to Putin and ask for a change in course. Unfortunately, Russian elites are not equal in terms of access and influence. The most important ones are often the hardest to target with sanctions (in part because they have the fewest personal and financial connections to the West) and the ones Putin is best positioned to shield. This state of affairs contains critical lessons for the future application of sanctions or other coercive tools of economic statecraft: it is not enough to create sanctions policy based on a theory about the macroeconomic effect of the proposed measure; it must also be based on a clear theory of the measure’s political economy effect. The impact of the sanctions program on the Ukraine crisis is perhaps easier to identify. The threat of additional Western sanctions may have helped, at least on the margins, to deter further Russian aggression, ushering in a stalemate that has given the post-Maidan government in Kyiv valuable breathing room. As former U.S. sanctions coordinator Daniel Fried put it, “Had we done nothing, Russia might well have attempted to do still worse, such as trying to seize the Ukrainian city of Mariupol, pushing further west to create a land-bridge to Crimea, or opening new fronts in Ukraine.” Still, provocative Russian moves in the Sea of Azov in late 2018 have demonstrated that Moscow remains prepared to use hard-edged military tactics to throw the Ukrainians off-balance and test Western resolve. Unfortunately, there is little evidence that the sanctions program has significantly altered the Kremlin’s risk appetite for activity beyond Ukraine. Indeed, since 2015 the Kremlin has mounted a broad-ranging global campaign of malign activities. These efforts include election meddling and cyber and information operations aimed at democratic processes in the United States, France, and other Western countries; an abortive coup attempt in Montenegro led by Russia’s military intelligence service, the GRU; offensive cyber activities, including the 2017 WannaCry ransomware attack and thwarted operations against the Organization for the Prohibition of Chemical Weapons and the World Anti-Doping Agency; a deadly confrontation near a U.S. special forces outpost in Syria in February 2018 involving Russian military contractors; a March 2018 attack on a former Soviet intelligence officer in the United Kingdom using a military-grade nerve agent; and covert attempts to interfere with the resolution of the long-running Greece-Macedonia name dispute. All the while, the Kremlin has also backed populist nationalist groups in several Western countries and pumped out vast quantities of disinformation via its sprawling propaganda apparatus. Nevertheless, technical gaps persist between the U.S. and EU approaches to sanctions. As Harrell has recounted, EU officials have been, for example, wary of legal challenges to freezes on the assets of companies and individuals. To avoid damaging legal reversals, the EU, by necessity, focused on targeting companies and individuals based on unclassified evidence that could be mustered in court or by virtue of targeted entities’ legal status, such as being state-owned. Likewise, U.S. and EU sanctions experts have tried to manage significant differences between U.S. and EU standards on issues such as ownership and control, which might be exploited in legal challenges. Given worries at the time about possible financial contagion amid brewing crises in Greece and elsewhere in the eurozone, officials have also opted not to impose blocking sanctions on large Russian financial institutions and various types of financial instruments and derivatives. Every six months, usually with little fanfare or drama, EU leaders have routinely renewed the sanctions program. These decisions—and the consensus they require—have been helped by Moscow’s continued failure to implement the Minsk accords and by poorly timed Russian misdeeds, such as the November 2018 naval confrontation in the Kerch Strait. Germany has played a central role in stiffening European resolve, reminding Italy, Hungary, Greece, and Cyprus that blocking consensus on sanctions renewal would have major negative repercussions in other areas of their cooperation with Brussels. At the same time, EU member states and Asian governments have not been shy about protecting commercially lucrative cooperation with Russia. For example, U.S. energy firms are understandably frustrated that they were forced to abandon unconventional energy projects in Russia, while similar or nearly identical efforts involving European firms were grandfathered by EU member states. Similar protections were instituted for European financial institutions for certain types of transactions. To some extent, these gaps are the inevitable result of different regulatory structures in Washington and Brussels and the gap between member state- and EU-level policymaking authorities. These issues have proven manageable but cannot be closed in full. They can be widened, though, and are likely to become more challenging as the U.S. sanctions regime becomes increasingly unilateral in nature. The situation is further complicated by the schizophrenic nature of U.S. sanctions policy in the first years of the Trump administration, as Congress and the president wrestle for control. With CAATSA, the U.S. Congress has widened the gap between the United States and Europe on how to manage Russia’s malign activities and has doubled down on the theory that costs imposed on regime insiders and Kremlin-linked wealthy individuals will result in pressure from within to prompt the Kremlin to change its policy. The Trump administration has appeared to be, at best, of two minds on this theory. It met the CAATSA requirement to issue a report listing senior government officials and wealthy oligarchs by January 2018 with a comically ill-informed and unclassified list that was cut and pasted from the 2017 Forbes ranking of Russia’s 200 wealthiest businessmen. In general, the EU does not share this approach, preferring to focus on sanctions against people or entities involved in undermining Ukraine’s territorial integrity, sovereignty, and independence, or other malign Russian activities. Despite the hastily published list of oligarchs, the administration did eventually target specific Kremlin-linked individuals and firms with severe sanctions. Of these, the most important was Deripaska and his vast empire that includes aluminum giant Rusal and its parent company, En+. These designations were significant and were made without meaningful prior consultation with European partners and, apparently, without a strong grasp of how sanctioning one of the world’s largest aluminum producers might impact global markets. Sanctioning En+ and Rusal immediately created significant disruption for European economies and supply chains. Beyond the immediate fallout, such as spikes in aluminum and alumina prices, it became apparent that high-end European manufacturers, such as in the auto industry, depend a great deal on Rusal, and these inputs cannot be replaced before validating alternative suppliers, a process that generally takes at least a year. Faced with the reality that European partners could not be forced into accepting U.S. secondary sanctions that threatened key manufacturing sectors and workers’ livelihoods in a variety of countries, the administration quickly backed down. It issued a string of licenses to postpone implementation of the sanctions and eventually negotiated what looks to be a fairly toothless divestment agreement reducing Deripaska’s stake in and control of the firms in exchange for lifting the sanctions. (Various knowledgeable figures suggest that the agreement has granted the Treasury Department unprecedented transparency over these firms and will prevent Deripaska from running the show. This seems unlikely.) Early and frank communication with European counterparts could have prevented this embarrassing reversal. Under CAATSA’s terms, Congress can vote to prevent sanctions relief, and a strong effort was made to block the administration’s plan to delist En+ and Rusal. European governments pushed hard to persuade Congress to go along with the divestment deal, providing detailed information that outlined the economic risks to Europe of the sanctions. Europeans may be forgiven for hoping that such arguments would carry weight with newly empowered congressional Democrats, who had previously argued against the administration’s withdrawal from the Iran nuclear deal by pointing to the necessity of staying aligned with Europe to improve the efficacy of sanctions. In this case, however, pervasive distrust of the administration on Russia—and poor outings from Treasury Secretary Steven Mnuchin explaining the proposal in the face of more pointed questioning than most Trump administration officials have been subjected to—led to a congressional rebuke. Almost 70 percent of House Republicans joined with Democrats to oppose sanctions relief, and eleven Republicans voted against the administration in a 57–42 Senate vote. Because sixty votes were necessary under Senate rules, the administration was still able to proceed with sanctions relief, but not before further worry about U.S. unilateralism had been sown among European allies and partners. The recent creation of a special purpose vehicle (SPV) for Iran to conduct trade without accessing the U.S. financial system illustrates the lengths to which Germany, France, and the UK are willing to go to support the Joint Comprehensive Plan of Action and to challenge the Trump administration’s threats of secondary sanctions. As former Treasury Department official Elizabeth Rosenberg has warned, Germany’s increasingly defiant stance on Iran may be a taste of its likely response to increased U.S. pressure on Nord Stream 2 and other trade with Russia. SPV-intermediated trade with Iran is likely to remain modest, circumscribed by relatively modest commercial interest. SPV-like techniques could, though, be used to support larger trade flows if the United States and Europe disagree on a sanctions regime where there is not only policy divergence (as with Iran) but also macroeconomically relevant divergence (as with Russia). Such a breakdown between the United States and Europe would, of course, deeply damage the specific sanctions regime in question, but it would also damage transatlantic relations and erode the United States’ leading role in global finance. DASKA and other legislation that are under discussion are part of a welcome effort to assert greater congressional control over Russia policy and to create a more comprehensive and powerful sanctions approach. A reintroduced version of the Defending Elections From Threats by Establishing Redlines (DETER) Act, co-sponsored by Senators Macro Rubio and Chris Van Hollen, would seek to prevent Russia and other governments from interfering in U.S. elections by imposing a series of mandatory sanctions. At the same time, DASKA looks like a grab bag of competing proposals, concepts, and reporting requirements. In that respect, it bears a close resemblance to the draft legislation that eventually formed the Russia-related sections of CAATSA. The lack of focus reflects the competing priorities of DASKA’s six original co-sponsors and makes it far less likely that the bill will pass in anything like its current form. In theory, that could create an opening for adjustments and horse trading based on input from private sector players, foreign governments, and outside experts. At the same time, unforeseeable events could lead to a replay of the last-minute scramble in summer 2017 over CAATSA, which was pieced together in roughly two weeks. Either way, outside stakeholders may find it difficult to challenge more than a handful of DASKA’s controversial provisions. Considerable attention has focused on a provision that would limit the Russian government’s ability to borrow in dollars. But, as experts at the Treasury Department have pointed out previously, Russia’s sizable oil and gas revenue streams and current account surplus mean that it has little need for significant dollar-denominated foreign borrowing. Russia’s outstanding public debt (15.5 percent of GDP) is well below the Organization for Economic Cooperation and Development average (73 percent of GDP). Total foreign holdings of Russian eurobonds have declined significantly since early 2012, as foreign market participants have built up their positions in the ruble-denominated domestic market. As a result, sanctions on new sovereign debt are unlikely to place a significant constraint on either Russian economic growth or financial market conditions. investments in new liquefied natural gas export projects outside Russia valued at more than $1 million or $5 million over a twelve-month period. It is not the purpose of this paper to provide an itemized set of recommendations on which tools to adopt or an evaluation of specific proposals already contained in DASKA or elsewhere. Highlighted below are several areas that require additional focus as well as several points on improving the process used to design coercive economic tools focused on Russia. There is a rich body of opinion about whether sanctions against members of the Russian elite have had a significant impact on Putin’s risk calculus. The April 2018 Treasury Department designations of prominent figures such as Deripaska, Viktor Vekselberg, and Suleiman Kerimov, all of whom had long enjoyed the benefits of both high-level Kremlin connections and business relationships in Western countries, represented a significant change in this strategy. The same presumably goes for sanctions against family members (specifically, Putin’s now former son-in-law Kirill Shamalov) and the son of Putin’s longtime close associate Arkadiy Rotenberg, which were announced at the same time, although the precise motivations were not well communicated by the administration. Still, it is worth recalling that the vast majority of Putin’s inner circle was designated via the so-called cronies list during the earliest stage of Russia’s war in Ukraine in March–April 2014. Such measures have, by all accounts, created anger and frustration inside the Kremlin and among the ranks of the well-to-do. But there is no indication that these moves have encouraged a significant softening in Moscow’s external behavior or fostered splits within ruling circles. Western sanctions have created not only losers but also winners in Putin’s system over the past five years. Import substitution, a renewed focus on agriculture, and restrictions on foreign involvement in state procurement are creating new rents and revenue streams for some players. The sanctions therefore are creating new lobbies inside the regime that favor their continuation, even as they hurt others. Former agriculture minister Aleksandr Tkachev, for example, has said that he hopes Russian counter-sanctions would go on for another ten years. Is it possible to envision future sanctions that might begin to target some of the main beneficiaries of the post-2014 period? A related problem involves potential overuse of parts of the traditional U.S. sanctions tool kit. Consider, for example, the Specially Designated Nationals and Blocked Persons List (SDN). This process tends to be bureaucratically cumbersome and reactive and is not scalable. Typically, only the worst of the worst are put on such lists, including congressionally mandated Magnitsky sanctions against human rights abusers. The vast majority of these figures often do not have significant assets or business activities in U.S. jurisdictions or active U.S. visas. Adding new names to the SDN list risks becoming the executive branch’s default response to new challenges when they arise. The March 2019 designations of individuals and defense/security-related entities more than three months after the Kerch Strait incident are a flagrant case of doing way too little, way too late. Members of Congress and policymakers should also begin thinking more creatively about the benefits of transparency measures and other steps that will have applicability far beyond Russia. These efforts can harden the U.S. financial system and economy against flows of illicit funds, help law enforcement officials identify the spoils of high-level corruption, and dissuade undesirable players from seeing the United States as a welcoming jurisdiction. A close reading of the Treasury Department’s National Money Laundering Risk Assessment and National Strategy for Combating Terrorist and Other Illicit Financing, both of which were released in December 2018 and mandated under CAATSA, is instructive in this regard. According to the risk assessment report, upward of $300 billion is laundered in the U.S. financial system annually. Treasury experts describe in stark terms how legal entities are easily misused for money laundering, the hiding of the proceeds of corruption, the disguising of beneficial ownership, and the transferring of funds between the United States and foreign destinations. A collective failure by Congress and several past U.S. administrations to deal with beneficial ownership issues is nothing less than a boon to figures connected to corrupt regimes and criminal groups. Even though many such figures have little or no impact on important national security policy issues such as Ukraine or election meddling, members of Congress and U.S. policymakers need to start asking pointed questions about why such wealth is still being parked in U.S. real estate, shell companies, and other investments, and what more can be done to target the techniques that these figures use to cover their tracks. In a 2016 assessment, the Financial Action Task Force (FATF), which is charged with setting international standards for combating money laundering, rated the United States as noncompliant on matters of transparency and beneficial ownership of legal entities, and it identified the lack of access to beneficial owner information as a “fundamental gap” in the U.S. anti-money-laundering regulatory framework. The tide may be turning. For the past decade, Congress has made only halting steps to strengthen transparency for beneficial ownership and restrictions on illicit financial flows and money laundering. A lengthy Treasury-led process on customer due diligence by financial institutions was finally implemented in May 2018 after a two-year delay. While welcome, the new Treasury procedures do not cover the corporation formation process, real estate transactions, or the role of so-called gatekeepers and enablers (that is, the providers of professional services such as attorneys, accountants, and real estate agents). For its part, FATF has recommended applying customer due diligence requirements to designated nonfinancial business professionals. The House is considering legislation that would require disclosing beneficial ownership during the corporate formation process, keeping such information up to date, and ensuring access to it by law enforcement and other official bodies. Such moves, while welcome, are unlikely to go far enough. For example, foreign companies are unlikely to be covered. Other types of investment vehicles (hedge funds, private equity funds, venture capital funds, partnerships, trusts, and the like) may also be exempted. Over the past few years, the EU has stepped up efforts to counter illicit finance. Successive versions of the EU Anti-Money Laundering Directive (MLD), which EU member states are required to transpose into their national laws, have arguably put it ahead of the United States in various respects. These directives have codified and strengthened customer due diligence requirements for financial and credit institutions, as well as gatekeepers and company service providers including accountants, tax advisers, legal professionals, and estate agents. The EU also has sought to standardize definitions of money laundering offenses and associated minimum criminal penalties, and to increase EU member-coordination on investigations and prosecutions. As part of the EU’s risk-based approach, affected entities must also conduct enhanced due diligence on transactions in countries identified by the European Commission as deficient in countering illicit finance. By the end of 2020, EU members will be required to extend criminal liability to legal entities when individuals holding leading positions in those organizations commit any money laundering offenses, which includes “failing to prevent” such offenses due to a lack of supervision or control. The EU also has placed a strong emphasis on transparency measures. Member states were required to establish by June 2017 central beneficial ownership registers for companies and legal entities incorporated within their territories that are accessible to official authorities and those involved in customer due diligence. Citing the benefits of enhanced public scrutiny, EU regulators have ordered that these central registers become publicly accessible by January 2020, a move that is intended to strengthen the deterrent effects of reputational risk and preserve trust in the integrity of the financial system. (The regulations contain an exception for central registers of trusts, for which public access to beneficial ownership information will still require demonstrated legitimate interest.) EU regulations also mandate providing relevant authorities with access to central automated registries or electronic data retrieval systems for identifying the ownership of bank and payment accounts (that is, information on account holders, representatives, and beneficial owners)—effectively ending anonymous bank accounts—as well as real estate ownership by individuals and entities. In the UK, government efforts to counter illicit finance have gained increased urgency since the Skripal attack, demonstrating that significant reforms can be implemented in fairly short time frames if there is political will. UK authorities are now working to extend the beneficial ownership public registry effort, which presently applies only to UK companies as stipulated by the MLD, to cover real estate transactions by overseas entities and companies registered in commonwealth offshore jurisdictions that have long been havens for suspicious activity. In a similar vein, the UK in early 2018 introduced unexplained wealth orders, which allow UK law enforcement to investigate how “politically exposed persons” suspected of involvement in foreign corruption, as well as suspected criminals, have acquired significant real estate interests and assets that are disproportionate to their lawful incomes. Targets of unexplained wealth orders are required to prove the circumstances surrounding ownership of such property and assets, which can be seized by the authorities under a court order. So far, UK officials have used these expanded powers on only three occasions, which has raised awkward questions about how far they plan to push things, given inescapable trade-offs between security and prosperity as well as negative impacts on the property market. The UK also has begun to apply greater scrutiny to high-profile foreign nationals applying for investor visas. In recent weeks, the UK National Crime Agency has started encouraging private schools and universities to be more aggressive about due diligence on tuition payments that may come from illicit sources. 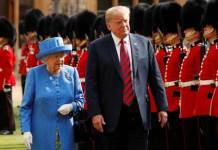 While significant differences exist between the U.S. and UK/EU systems and legal norms, there clearly is scope for more expansive efforts by U.S. authorities. third, that blatant disregard of allies’ and partners’ interests in the application of coercive economic tools undermines U.S. relationships beyond simply the damage it does to a specific sanctions regime or sanctions tools in general. Using tools of economic statecraft in a more collaborative manner will require a renewed U.S. focus on diplomacy. The draft DASKA provision to reestablish a sanctions coordination office in the State Department is a good start. The office should be charged with matching sanctions policy objectives to implementation and with coordinating efforts with key partners. The office should also be designed to improve congressional oversight, including a Senate-confirmed chief and regular reporting requirements on sanctions objectives, effectiveness, and diplomatic coordination. Under most administrations, this step might be adequate to substantially improve coordination with allies and partners. Given the current administration’s demonstrated unilateralism in sanctions policy and broader problems with both filling senior State Department positions and responding to congressional oversight requirements, Congress should take a more active role in coordinating with allies and partners by creating a consultative mechanism to interface with key partners prior to drafting and adopting legislation. Of course, Congress regularly consults with allies and partners on legislation, but these conversations are usually late in the legislative process and reactive on the part of the partners. Embassies typically review draft sanctions legislation and provide comments to congressional offices. As such, the dialogue is almost always defensive: allies or partners identify a proposed sanction that conflicts with their interests and ask that it be changed or eliminated. This is not coordination. A dialogue should start much earlier in the process and encompass a broader range of topics, starting with an effort to identify common (and differentiated) interests and objectives and, from there, to build coercive tools that can be implemented in a coordinated manner. This should be an intensive and regular consultation, involving both members of Congress and senior policymakers. Such a dialogue would certainly provide European and East Asian partners with a venue to underscore specific points of concern—say, on Nord Stream 2 or other major energy projects, for starters. The consultation would also demonstrate that allies and partners are not simply the “party of no,” objecting to proposed sanctions provisions—that is largely an artifact of the reactive way embassies respond to specific legislation. In fact, as outlined above, the United States lags behind allies and partners in a number of areas, starting with beneficial ownership provisions, where stronger U.S. coordination could substantially increase pressure on sanctions targets. This consultation can help Congress with one aspect of sanctions policy development that is receiving careful attention in Europe and that, regrettably, is no longer a central consideration for the Russia sanctions program in the United States: having a workable plan for sanctions relief once the policy objective of the sanction has been met, which would improve the negotiating leverage provided by the sanction by making clear that it can be effectively lifted. Such provisions that could provide more direction beyond broad language indicating that sanctions can be terminated if the sanctioned activity has ceased are missing from CAATSA—an error that should not be repeated. This sort of dialogue is normally within the purview of the executive branch, so there will be challenges to establishing the appropriate channels. These challenges are worth accepting. First, it is Congress, not the executive branch, that is providing the energy behind new sanctions tools. As such, Congress needs to work directly with key partners to ensure that any new sanctions can be implemented in a coordinated and multilateral—which is to say, effective—manner. Second and more important, relations between Washington and its closest allies and partners are already strained. Congress should not run the risk of another Rusal-style disagreement, and Congress cannot depend on the administration to avoid it.